BSc (hons), MPhil, MBChB (London/Leeds) MRCGP (96), Cert Palliative Care. Dr Scargill was born and raised in Barnsley. She attended Bank End Primary School and Worsbrough High School, Ardsley Road. After leaving school she attended Sheffield Polytechnic (now Sheffield Hallam) and gained her first degree BSc. (hons) in Applied Sciences. Her postgraduate Masters degree (by research) was taken at Sheffield University. She attended St Bartholomew’s medical college in London for her pre-clinical years and completed her clinical training in Leeds. Dr Scargill trained to be a GP on the Barnsley Vocational Training scheme and joined Ashville as a partner in 1996. She lives locally and is married to a Barnsley man and they have twin sons. Dr Scargills interests are dermatology, minor surgery and she is the lead palliative care doctor for the practice. Dr Rainford was born in Preston, Lancashire and attended her local primary and comprehensive school. After doing well at school she surprised her parents and attended Sheffield Medical School graduating in 2003. She initially started out in a career in surgery but then changed direction and joined the vocational training scheme in Sheffield to qualify as a General Practioner. She joined Ashville in 2008 shortly after qualification, initially as a salaried doctor, and then became a partner in March 2010. Dr Rainford is a GP Trainer. She also looks after patients with substance misuse issues and is lead in the practice in this area. Her other interests include minor surgery, weight loss management and palliative care. Dr Ainsworth was born and raised in Bolton, Lancashire and attended her local primary and comprehensive schools. After leaving school she attended Leeds University and gained her first degree BSc (hons) in Microbiology and Zoology. She then attended Sheffield Medical School graduating in 2002. She initially pursued a career in surgery obtaining MRCS in 2006. However her interests changed and she joined the Rotherham vocational training scheme and qualified as a GP in 2009. She has worked as a salaried GP in the Barnsley area since qualification and joined Ashville in 2011 as a partner. Dr Ainsworth is a GP Trainer. Her other interests include minor surgery, joint injections, women’s health and family planning. She is qualified to fit and remove contraceptive implants and coils. She also has an interest in paediatrics and palliative care. Dr Mills was born in Enniskillen, Northern Ireland and grew up as the youngest of six children. In 2001 he moved to England to study medicine at Cambridge, where he married Meera. They moved to Kendray in 2010 and are members of St Andrew’s church on Gerald Road where he helps with youth work and preaching. 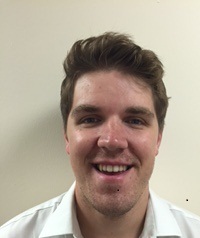 He joined Ashville Medical Practice as a registrar in August 2012 and then became a partner in August 2013. 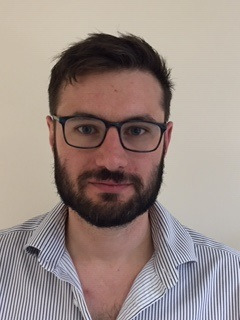 Dr Mills enjoys the variety of general practice and he has particular interests in men’s health, adolescent health, dementia care, respiratory medicine and paediatrics. He has extra qualifications in surgery and substance misuse and has worked in the local hospice. Dr Pringle was born in Stafford. He studied medicine at Sheffield University where he met his wife who was studying on the same course. 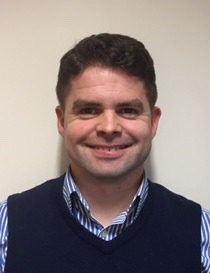 He joined the Barnsley Vocational training scheme in 2011 and after completing his training he joined Ashville Medical Practice in August 2014 as a salaried GP. Dr Pringle became a GP Partner on 1st August 2015. Dr Cooke grew up and attended high school in Liverpool. Having headed over the Snake Pass in 2001 to complete his degree in Physiotherapy in Sheffield, he hasn't looked back. He stayed in Sheffield to study medicine, graduating in 2010. His professional life drew him to Barnsley, and having developed a fondness for her folk, he decided to base his career here as a GP partner at Ashville. He lives in Sheffield with his wife and two boys where he enjoys just being a dad. Dr Gibbins graduated from The University of Sheffield in 2011. After enjoying his Barnsley based GP training with the final year at Ashville, he joined as a Partner in September 2016. Originally from Lancashire, with strong family roots in Yorkshire, he enjoys living in Sheffield. His interests include Cardiovascular and Men's Health, Elderly Care Medicine and Palliative Care. Dr Leary studied Medicine in Bristol before moving to Yorkshire to work as a doctor. He then carried out work in different medical and surgical specialties in New Zealand for a year before deciding to become a GP and joining the Barnsley General Practice training scheme. He spent his final year in the scheme at Ashville Medical Practice before joining as a Partner in October 2018. He lives with his wife who is also a GP in the local area. Nurse Gillott was born in Barnsley and on qualification as a nurse in 1991 joined Barnsley hospital. She was based in A/E for 14 years and after attaining H grade senior nurse she left to join a local GP practice become a nurse practitioner in 2005. 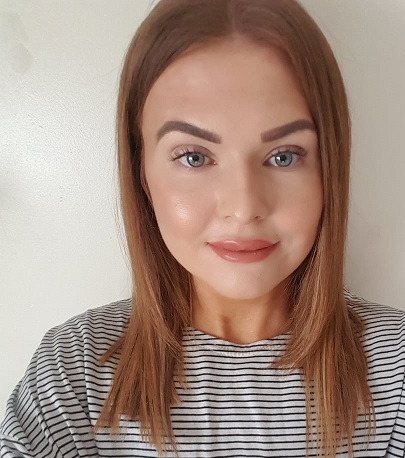 She gained her postgraduate diploma in first contact care which allows her to treat, diagnose, triage and prescribe for a wide range of common GP presentations and emergency care. Sees and triages many of the same day appointments, provides emergency advice and treatment. She also does smears, stitching and some minor surgery. She is an Associate Partner and Manager of the Ashville nursing team. She is married to a local man they have two boys all having a keen and active involvement in Barnsley Rugby Club. Mel was born in High Green Sheffield and attended Greengate Lane Primary School and High Green Comprehensive. Mel has held a number of Managerial positions including the Operations Manager of an Occupational Health company and an Out of Hours GP service. Mel joined Ashville Medical Practice in November 2011 as Practice Manager. 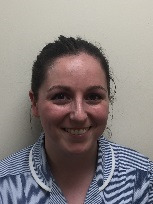 Mel’s role is to manage the overall running of the practice to enable us to meet agreed aims and objectives within an efficient safe and effective working environment, ensuring the team delivers the best possible care to our patients. Our receptionists are here to help you. They book patient appointments and deal with queries. Their job is very demanding so please be patient. If you wish to speak with a receptionist privately, away from the reception area, please ask to do so. All information is treated in strictest confidence. Karen deals with all the in-house typing and referrals. Care for our pregnant ladies is on Wednesday afternoons from approximately 13:30 onwards. We have a team of district nurses attached to our Practice. District nurses are qualified registered nurses who hold an additional qualification in Community Specialist Practice. They have a team of community staff nurses and auxiliary nurses who work alongside them to provide highly skilled nursing care for our patients in their own home or at clinic. The district nurses offer a wide range of services for the housebound and those recently discharged from Hospital. They also hold their own clinics within Oaks Park Primary Care Centre. They can be reached by contacting the communications officer on 01226 644575. We have a team of health visitors (0-19 service) attached to our practice. They hold a baby clinic within Oaks Park Primary Care Centre on Tuesday afternoons between 13:30 and 15:30.